The Capetian dynasty /kəˈpiːʃⁱən/, also known as the House of France, is a dynasty of Frankish origin, founded by Hugh Capet. It is among the largest and oldest European royal houses, consisting of Hugh Capet's male-line descendants. The senior line ruled in France as the House of Capet from the election of Hugh Capet in 987 until the death of Charles IV in 1328. They were succeeded by cadet branches, the Houses of Valois and the Bourbon, which ruled until the French Revolution. Members of the dynasty were traditionally Catholic. The early Capetians had an alliance with the Church. The French were also the most active participants in the Crusades, culminating in a series of five Crusader Kings – Louis VII, Philip Augustus, Louis VIII, Saint Louis, and Philip III. The Capetian alliance with the papacy suffered a severe blow after the disaster of the Aragonese Crusade. Philip III's son and successor, Philip IV, humiliated a pope and brought the papacy under French control. The later Valois, starting with Francis I, ignored religious differences and allied with the Ottoman Sultan to counter the growing power of the Holy Roman Empire. Henry IV was a Protestant at the time of his accession, but realized the necessity of conversion after four years of religious warfare. 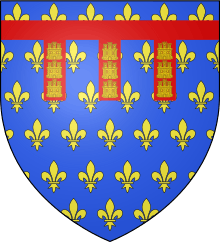 The name of the dynasty derives from its founder, Hugh, who was known as "Hugh Capet". The meaning of "Capet" (a nickname rather than a surname of the modern sort) is unknown. While folk etymology identifies it with "cape", other suggestions suggest it to be connected to the Latin word caput ("head"), and thus explain it as meaning "chief" or "head". Historians in the 19th century (see wiki article House of France) came to apply the name "Capetian" to both the ruling house of France and to the wider-spread male-line descendants of Hugh Capet. It was not a contemporary practice. The name "Capet" has also been used as a surname for French royals, particularly but not exclusively those of the House of Capet. One notable use was during the French Revolution, when the dethroned King Louis XVI (a member of the House of Bourbon and a direct male-line descendant of Hugh Capet) and Queen Marie Antoinette (a member of the House of Habsburg-Lorraine) were referred to as "Louis and Antoinette Capet" (the queen being addressed as "the Widow Capet" after the execution of her husband). The Carolingian dynasty ceased to rule France upon the death of Louis V. After the death of Louis V, the son of Hugh the Great, Hugh Capet, was elected by the nobility as king of France. Hugh was crowned at Noyon on 3 July 987 with the full support from Holy Roman Emperor Otto III. 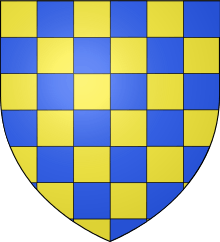 With Hugh's coronation, a new era began for France, and his descendants came to be named the Capetians, with the Capetian dynasty ruling France for more than 800 years (987–1848, with some interruptions). Afonso, 8th Count of Barcelos, 1st Duke of Braganza (1442). Ferdinand I, 2nd Duke of Braganza. Infante Carlos, Duke of Calabria, Calabrian pretender to the Two Sicilies since 1964. Henri, Count of Paris, Legitimist (Blancs d'Eu) and Orléanist pretender to France since 1999. It is estimated that the agnatic descendants of the Capetian dynasty consists of 6,500 people (dead and alive). Currently living individuals and descendants of the kings of France, in male or female line, legitimate or natural, are hundreds of thousands, probably millions, worldwide . ↑ Specific periods of reign are 888–898, 922–923, 987–1792, 1814–1815, and 1815–1848 – the more-than-800-year uninterrupted period 987–1792 forming the bulk.